Successfully Added HD Car DVD Player - Hyundai IX35 (2010), 7-Inch Display, GPS Navigation, Bluetooth Support, SD Card Support, FM/AM Radio to your Shopping Cart. 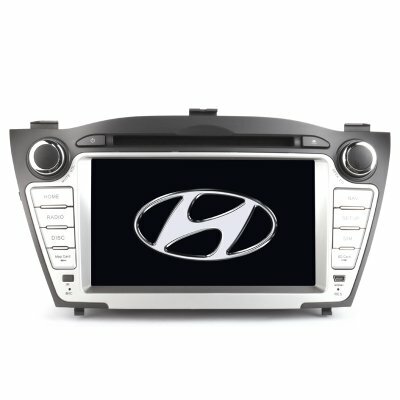 With this 7-inch car DVD player for the Hyundai IX35 (2010), your passengers will never have to feel bored on the road again. On its large HD display, this car media player allows your passengers to watch series, movies, and more. Thanks to this, you’ll be able to easily keep them entertained during upcoming road trips or holidays. By supporting a DVD player, 32GB USB input as well as a 32GB SD card, it treats you to plenty of space to store your media. Simply insert the movie or series of your liking, press play, and you’re ready to go. Your media player supports 1080p media files which means that you’ll be able to enjoy the latest entertainment without experiencing a loss in quality. Besides watching films and series, this car media player is great for listening to music. It comes with high quality built-in speakers and a heavy bass. Bluetooth support lets you listen to your favorite songs stored in your smartphone music library. Additionally, you’ll be able to enjoy the latest tracks and live talk shows on radio thanks to its AM/FM support. Bluetooth furthermore lets you engage in hands free phone calls which will significantly increase your safety on the road. Thanks to the media player’s GPS navigation support, you never have to worry again about getting lost on the road. From now on, you’ll always arrive at your destination in the fastest way imaginable.